Charlie is slightly chubby and the occasional reader of women's lifestyle magazines, not that he'd ever admit that down at the pub to the guys. Lover of an occasional takeaway and a more frequent beer, he lives with his mum in the same small coastal town where he was born and works in the local bookshop, with a boss who thinks the country is at war and wears a pot on his head for a helmet. Pearl has fled to her grandmother's beach house for some time out and to heal after the end of a relationship left her with a life altering revelation. Their paths collide and Charlie falls instantly in love, although Pearl takes some convincing. She has a secret; one she knows may prevent them from living their happy ever after. 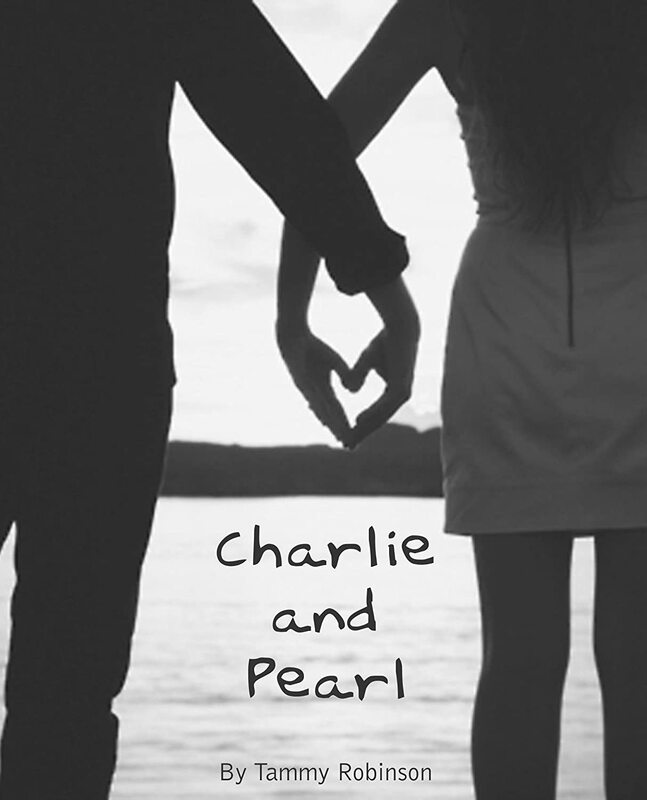 Charlie and Pearl is a quirky love story. It's a story of unconventional love; of finding that spare part you never knew you were missing, and of what happens when love is simply not enough. My Review: Charlie runs the local bookshop and looks after the owner who suffers from dementia. He has a close relationship with his mom, is well-liked by locals at the bar, but isn't really going anywhere with his life--until he meets Pearl. The moment he meets her, he's in love and seeks to find a way to get her attention. Pearl's reaction is a bit more reserved. After a bad relationship and traumatic experience, she has escaped to her grandmother's beach house in an attempt to come to grips with her life. She isn't looking for love, but finds it with Charlie. Charlie and Pearl is an easy read; I read it in a day. As their relationship unfolds, there are tender moments, humor, and arguments that are typical in any relationship. But, their relationship is anything but typical. Pearl has a very good reason for pushing Charlie away, but at the same time, she can't resist him. Charlie loves openly, honestly, holding nothing back. He's exactly what Pearl needs, but she continues to fight her feelings until she can't fight any longer. I downloaded this book AGES ago, but just now chose to read it. I'm so glad I did. Even though I was wiping away tears by the end of the book, I found the ending surprising, but fitting. It's the kind of book that makes you feel honored to have been a part of the story, even if it was for only the few hours it took to read it. There are some grammatical errors, so if this is something that bothers you, consider yourself warned. The errors certainly didn't prevent me from enjoying the story and I had to give it 5 stars. Loved it!